Rachael Uwada Clifford is a writer and poet living in Baltimore. The daughter of Nigerian immigrants, she was born in Tennessee and raised in Georgia and New Mexico. 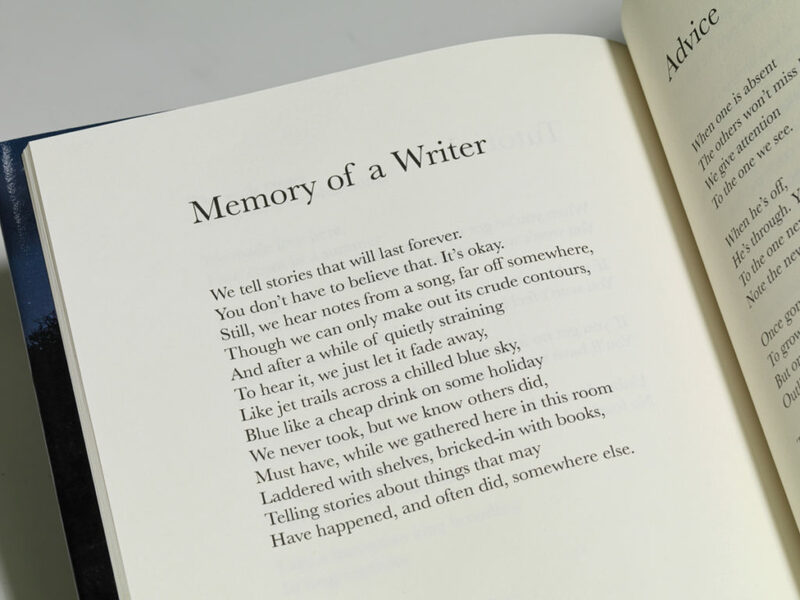 She holds an MFA in fiction from the Writing Seminars at Johns Hopkins University, where she teaches creative writing. In addition, she teaches creative writing to Baltimore City youth through Writers in Baltimore Schools. She has received awards and fellowships from the Cave Canem Foundation, Kimbilio Fiction, and the Maryland State Arts Council. Ernest Hilbert is the author of several collections of poetry, Sixty Sonnets, All of You on the Good Earth, and Caligulan, which was selected as winner of the 2017 Poets’ Prize. His fourth collection, Last One Out, appeared in March 2019. He lives in Philadelphia where he works as a rare book dealer and book reviewer for The Washington Post and The Wall Street Journal. His poem “Mars Ultor” appears in Best American Poetry 2018. 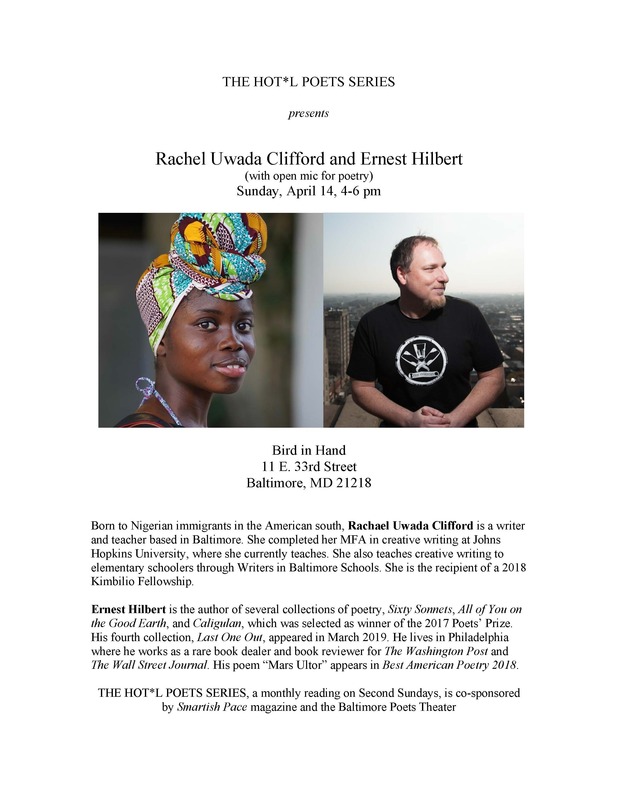 THE HOT*L POETS SERIES, a monthly reading on Second Sundays, is co-sponsored by Smartish Pace magazine and the Baltimore Poets Theater. Ernest Hilbert is founder of E-Verse Radio.